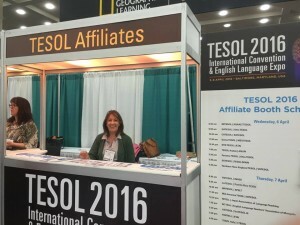 Every year TESOL International gives TESOL affiliates the opportunity to promote their association to the TESOL community during the annual TESOL convention. Argentina TESOL has been participating in this activity for many years. This year, in Baltimore, ARTESOL representatives shared information about publications, conventions, the National Spelling Contest and other activities with interested passerby on Friday, April 8. 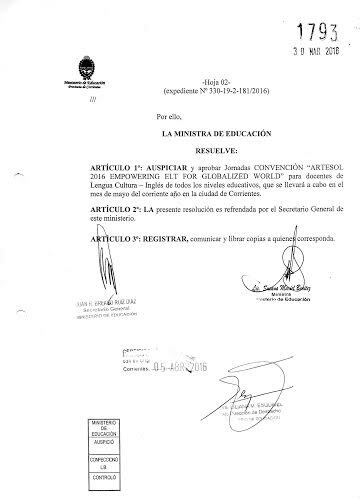 IMPORTANT: Once the deposit has been made, please email a scanned copy of the deposit slip to artesol.office@gmail.com. This will help us track your payment. Thank you! On-site payment: Only if pre-registration form has been submitted. Cash only.